2619 street address appearing on the gate, and that the style of architecture seemed to pre-date 1900. 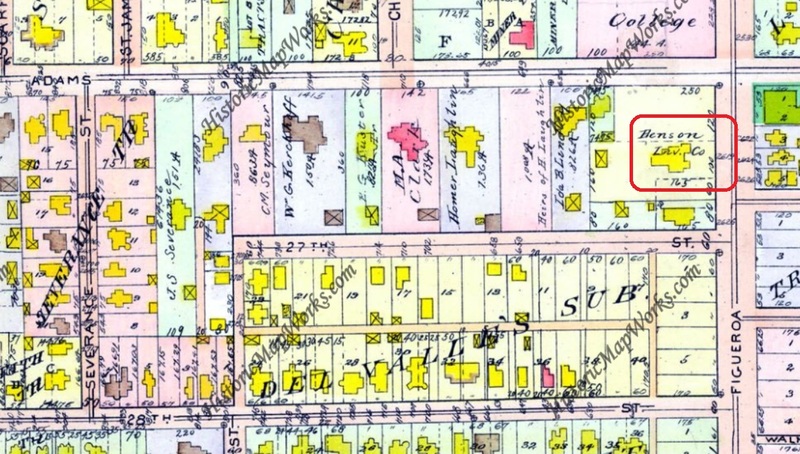 Checking a 1900-era Los Angeles map, Steve found few streets at the time were lengthy enough to have had addresses as high as 2600. Next, by combing through the Sanborn Fire Insurance Maps, Steve eliminated nearly every lengthy street but Figueroa. The Sanborn map footprint for the Bonebrake Mansion at 2619 South Figueroa matched the Keaton house exactly, which these Los Angeles Public Library online photos confirm. As it turned out, the house was torn down later in 1921 to make way for the “new” Auto (AAA) Club Headquarters still standing on that spot. This would explain the home’s rundown condition and availability for use as a movie set. 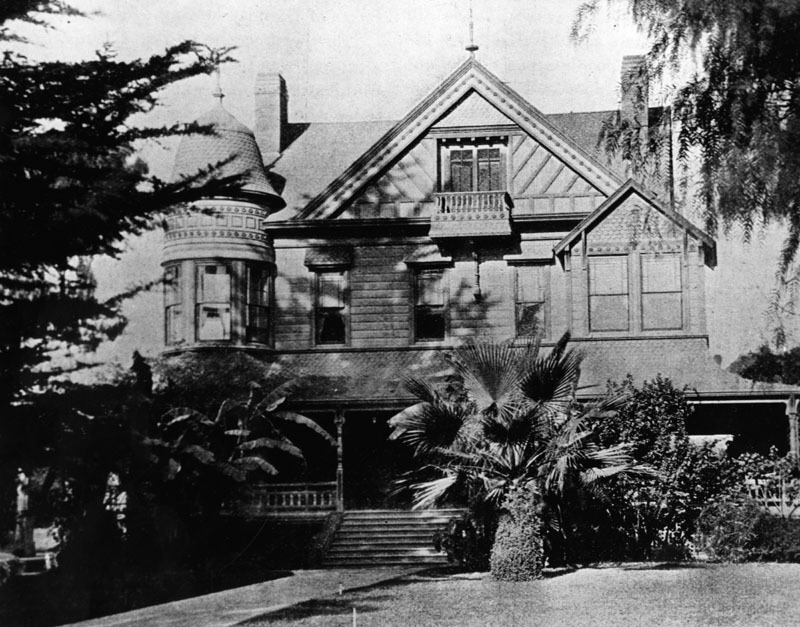 The house belonged to widowed banker George H. Bonebrake, co-founder of the Semi-Tropic Land and Water Co., Los Angeles. Bonebrake died at home in 1898. By 1902 notorious Arkansas senator Stephen W. Dorsey (once indicted but acquitted of bribery) acquired the property. The same year, shortly after Dorsey married Laura Bigelow, his second wife, and a much younger woman, Dorsey’s secretary sued him, claiming she gave Dorsey “wifely love,” and he was keeping her on the side in a nearby home. 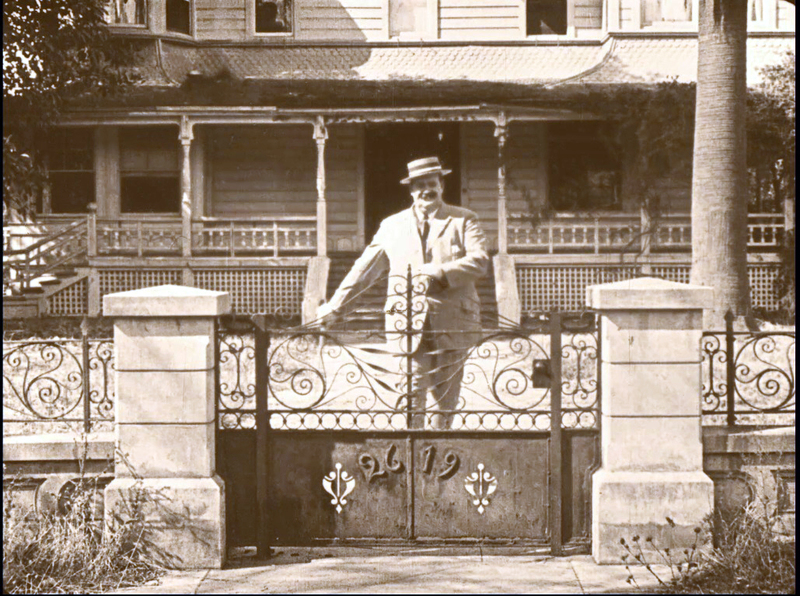 Laura Dorsey died at home in 1915, and the property was foreclosed the following year. The Automobile Club of Southern California acquired the property in 1920, completing its headquarters there in 1923. A third view of the former home. LAPL. 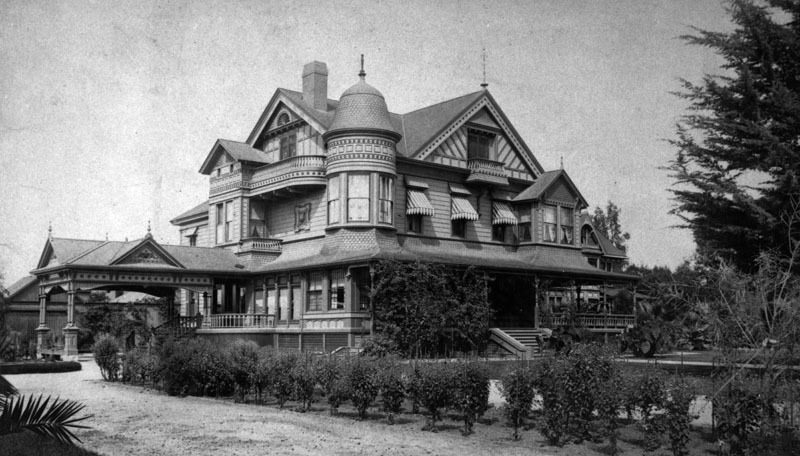 You can read more about the Bonebrake home at the Los Angeles History Blogspot, a fascinating account, home by home, of LA’s premiere historic neighborhoods, including Berkeley Square, Wilshire Boulevard, Adams Boulevard, Windsor Square, Fremont Place, St. James Park, and Westmoreland Place. Fewer and fewer Hollywood ghosts remain, but Steve’s brilliant solution for this over 95 year old mystery would make Sherlock Jr. proud. Steve is the author of books about architect Gordon B. Kaufman, the Willows historic Palm Springs Inn, and magnificent Hollywood-era homes (Historic Hollywood), and writes about vintage Hollywood homes and apartments at the wildly popular Paradise Leased blog. 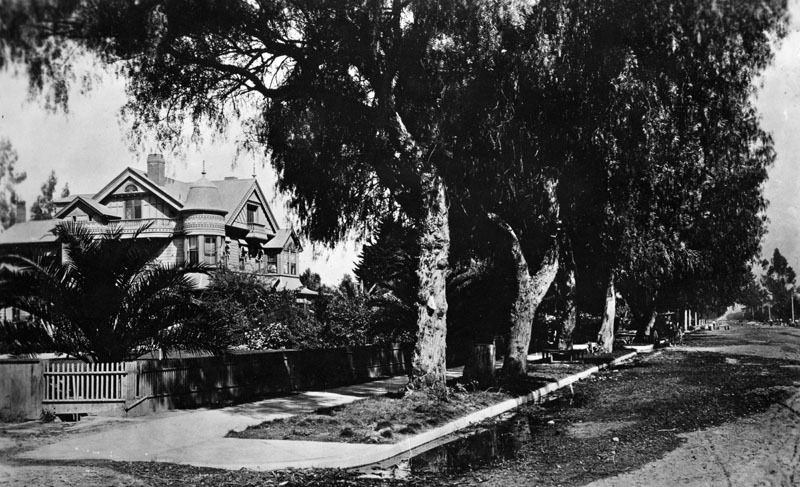 The house at Adams and S. Figueroa in 1914. Historic Mapworks. 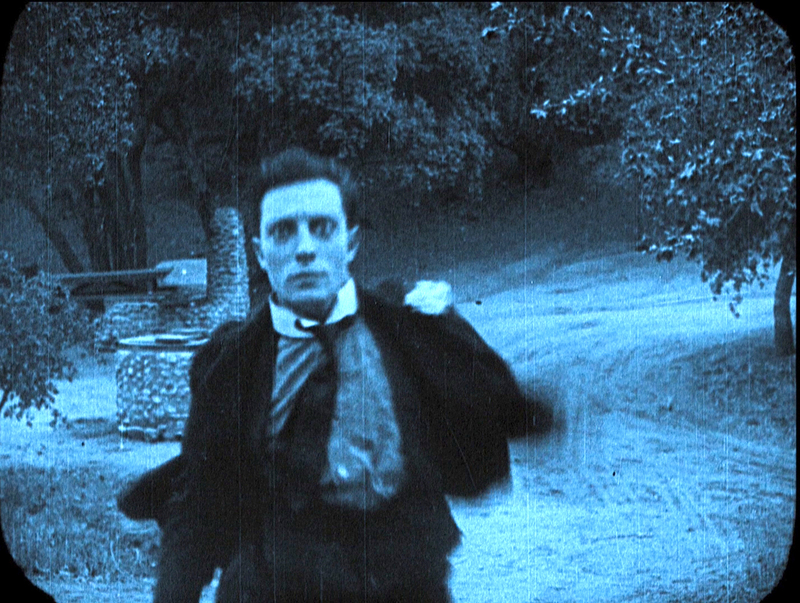 Note: This post was based on a story I wrote several years ago for The Keaton Chronicle, the publication of the Damfinos, the International Buster Keaton Society. I write a story for the Chronicle each quarter, covering new discoveries not yet revealed in my blog. So join the Damfinos and learn Keaton discoveries before they are published here. The “new” 1922 Automobile Club of Southern California headquarters at 2601 S. Figueroa. 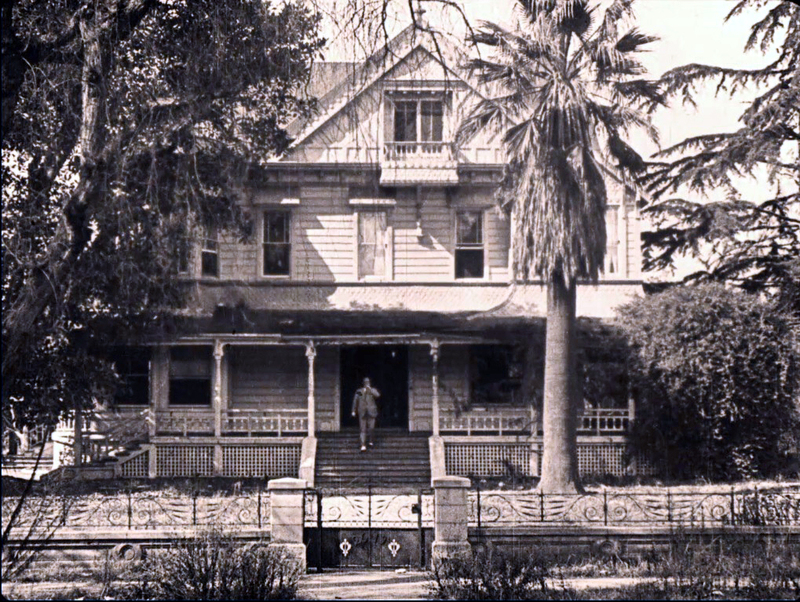 This entry was posted in Buster Keaton and tagged Buster Keaton, Georger Bonebrake, Keaton Locations, Los Angeles Historic Core, Silent Comedians, Silent Movie Locations, Silent Movies, The Haunted House, then and now. Bookmark the permalink. As always, a fantastic story that’s well researched! I appreciate your time and effort for writing this amazing article. I am Passicinate to visit some of the most haunted places of the world.